Tashkent, the capital city of the Republic of Uzbekistan – the large economic, political, scientific and cultural center of Central Asia. The city is located in a northeast part of the Republic, in a foothill part western Tian-Shan, in a river Chirchik valley, at height of 440-480 m above sea level. The history of Tashkent totals more than 2500. The history of the city began from the small settlement of juice (the VI-III centuries BC) assume. For the long history the city was called differently – as Euny, Chach, Shash-Tep, Binkent, Tashkent. In the I-IV centuries Chach was a part of the Kushansky kingdom. In the V century the city was grasped by eftalits created the huge power in the territory of all Central Asia, and in the 6th century it appeared under the influence of Turkic kaganat. At this time begins formation of Turkic language at the people of this edge. At the beginning of the VIII century the Arab armies passed Amu Darya and began a gain of Central Asia. In the beginning were grasped Bukhara, Samarkand, and in 716 g – Chach (Tashkent). The population of Chach leaves the city devastated by Arabs, and creates the new city, but not on ruins, and in 4-5 km to the northwest from former, on the bank of Boz-su canal. At this time, on the territory of Central Asia extend Islam religion, the Arab writing and culture. From IX century the city strongly located in the center of an “old” part of modern Tashkent and is called as the Arab name “Binkent” (i.e. the main town of area). And this period, the IX-X centuries, was really «a gold eyelid» in the history of economic, and especially, cultural development of the region called the period of «the Muslim Renaissance». At this time in the city crafts, potter’s and glass-blowing business, processing of metals, fabrics, skin, a tree develop. In the city numerous caravanserais in which the caravans going on «A great Silk way» stopped were located. Settling down on a transit trading way, Binkent wasn’t simply transit point, but also itself made and exported the goods. Since the end of the X-th century the city is a part of the Karakhanids state. For the first time the name “Tashkent” meets in the XI century in Biruni and Mahmoud Kashgari’s works. Tashkent in transfer means «the stone city». In 1219 (XIII century) as a result of invasion of Chingiz hana, the city passed to Mongols. All city strengthenings were destroyed, the populated part of the city decreased. The Mongolian gain is characterized by complete decline of Tashkent. New lifting of the city is connected with Timur’s board and Timurids. In XIV and the beginning of the XV centuries, as a part of Amir Temur’s state the city gained again value of a strong fortress, its territory extended, develops productions, trade, culture. The city was surrounded with a new wall since Timur attached great value to Tashkent, as to a military fortress (outpost) of the empire. The beginning of the XVI century is characterized by emergence of nomad Uzbek tribes under leadership of Sheybani han. Nomadic Uzbeks lodged in conquered territories and mixed up with local settled Turkic and other people. These nomads called themselves “Uzbeks” and from now on the term “Uzbek” was widely adopted and began to affirm as the name, subsequently the created, Uzbek nationality. Then throughout the 2nd centuries, in the XVII-XIX centuries, Tashkent became the fight arena between Khiva, Kokand khanates and the Bukhara emirate. At the beginning of the XIX century the city was conquered by the kokand khan and became a part of the Kokand khanate. More than once tried to grasp Tashkent the Bukhara emirate. Between local khanates the imperial government of Russia used the developed situation. In 1865 imperial armies seized Tashkent, and the city was attached to Russia. In 1867 was formed the Turkestan General Governorship with the capital in Tashkent. 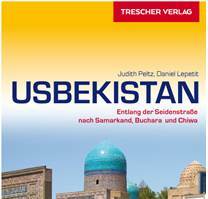 Tashkent was the capital UZSSR in 1924, and then the capital was transferred to the city of Samarkand. Since 1930 Tashkent again becomes the capital. Today, Tashkent is the largest city of Central Asia, with the population about 3 million people. The territory of the city makes 320 km 2 and consists of 11 administrative regions. This ancient city on the Great Silk Way where ancient east architecture and modern receptions of town planning harmoniously intertwine. All this involves numerous tourists from all over the world, combining ancient east traditions and a modern way of life.